Our extensive umbrella range includes the Designer umbrella range for patios and decks and the SunMax commercial umbrella range where strength is required for the most demanding conditions. Ozsun does not just provide the finest outdoor umbrellas available, we also provide free advice, a full installation service and design ideas to ensure you end up with the right outdoor umbrella’s for your home or business. Whether you are looking for cafe umbrellas, pool umbrellas, cantilever umbrellas (side post umbrellas), patio umbrellas or architectural umbrellas we can provide you with the umbrella that best suits your needs. 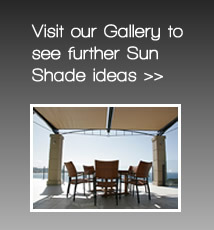 Our SunMax commercial umbrellas are the preferred choice of hotels, shopping centre’s, restaurants and public areas. Fully wind-rated and available in a selection of colours. SunMax commercial umbrellas are able to withstand strong winds with models designed to 145 km/hr as standard. An optional upgrade to 181km/hr is available on some models. Our Designer range of premium umbrellas have been designed specifically for the harsh Australian sun. Available in a wide selection of colours styles. Ease of operation is second to none with the patented ‘One-movement’ sliding system for opening and closing the umbrella. The gas strut assisted deployment is designed to allow the umbrella to be raised and lowered in ‘one easy movement’. Manufactured from marine-grade powder-coated Aluminium, stainless steel and other non-corrosive materials. click on the link below to read more.